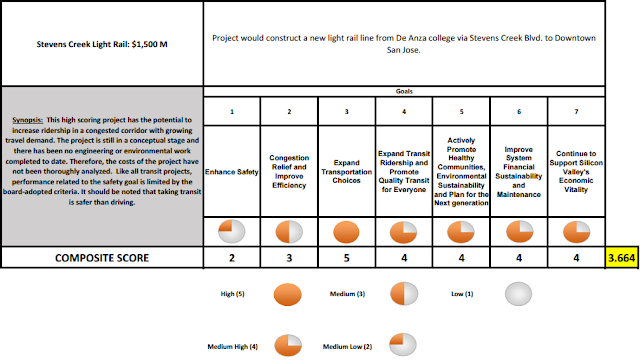 The VTA has started doing very early research on a variety of potential future transit projects. It would almost definitely take an increase in sales taxes for any of these to become reality, but it is interesting to see the ideas that are being tossed around. 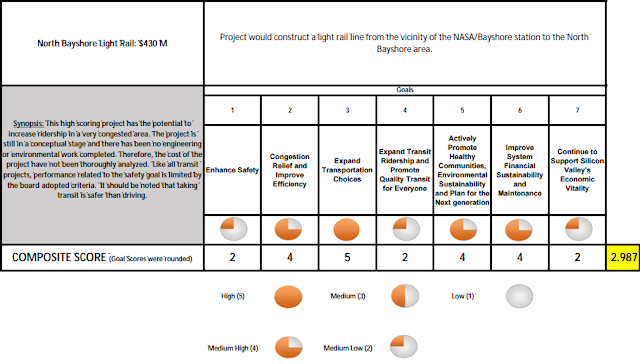 There were several projects in the study that are already well into planning-mode. 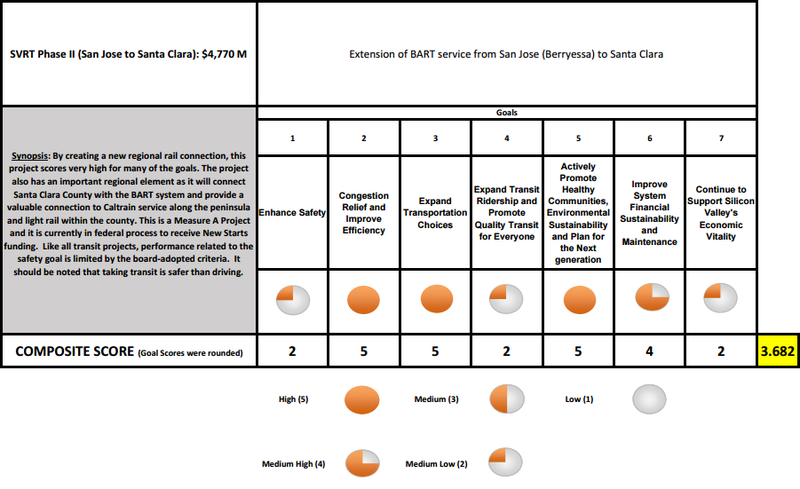 These include BART to Downtown San Jose, a Light Rail extension to Eastridge Mall, a Light Rail extension to Los Gatos, and expanding the Express Lane system on our freeways. However, there were also brand new projects that I have never heard even mentioned before. This include a billion dollar Downtown San Jose Subway (nice!) 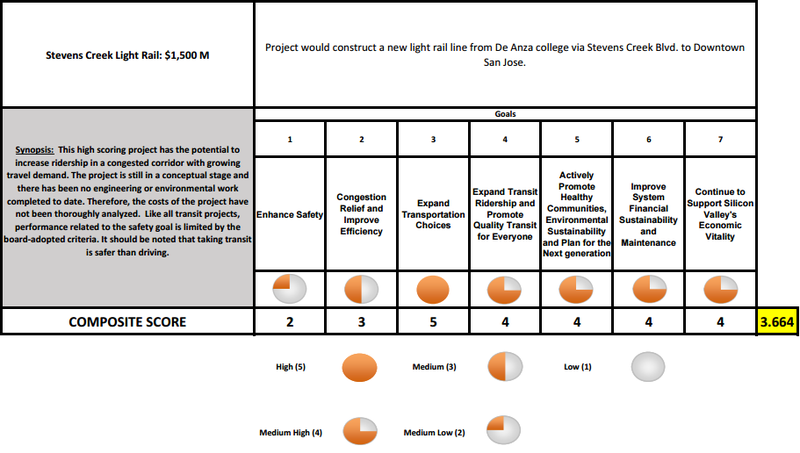 that would significantly speed up the whole Light Rail system, a $1.5 billion Light Rail line that would go from Downtown San Jose to Santana Row/Valley Fair and eventually De Anza College, a new Light Rail line that would go from that NASA/Bayshore station to North Bayshore in Mountain View, and a ton of highway interchange improvements. 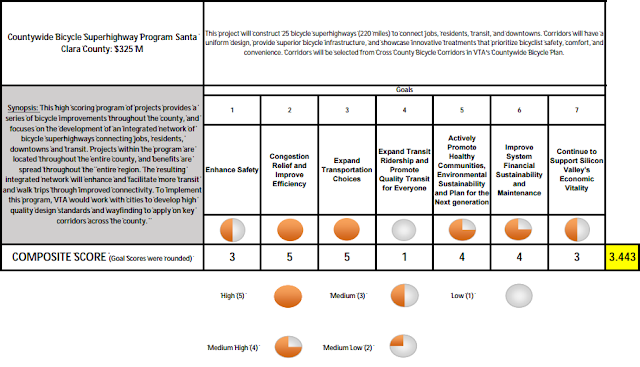 You can find some of the project "evaluation cards" below, but I recommend going through the whole list over here. 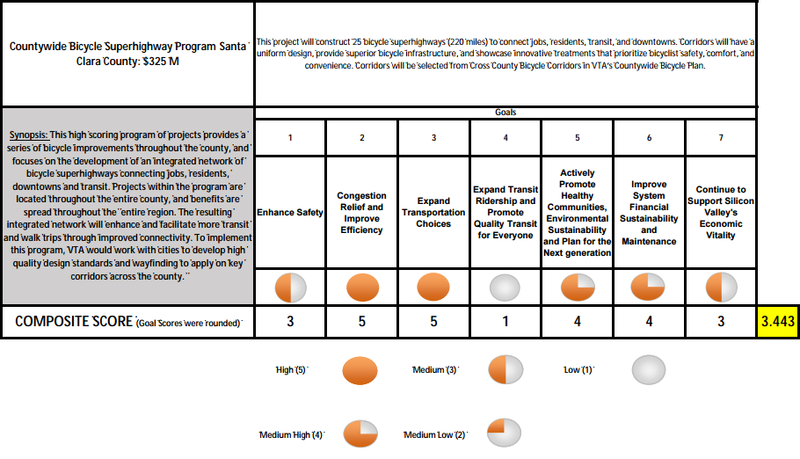 The bicycle superhighway sounds brilliant. But do any of these other ideas account for the imminent reality of ubiquitous, rapid, self-driving, ultra-cheap transportation? It didn't seem that way, but this is definitely something we should all be thinking about. Autonomous cars and point-to-point pods are likely going to be the two preferable transit options in the future.